Dissociative identity disorder (DID) has been discussed and changed forms many times in its existence. It started out as being diagnosed a side effect of other disorders and evolved to its own as multiple personality disorder before becoming DID in the fourth edition of the diagnostic and statistical manual of mental disorders (DSM IV). It is currently listed in the DSM V as Dissociative identity disorder with listing of 300.14 (F44.81) and the definition of "a disruption or discontinuity in the normal integration of consciousness, memory, identity, emotion, perception, body representation, motor control, and behavior" . Some of the reasons for DID to enter into someone's life is child abuse, childhood trauma, or an unsettling event such as a traumatic death in the family seen by someone or a child. These items can create a new personality to be used as a coping mechanism to help shield the child form the event. Children will tend to create a personify to deal with a traumatic event such as abuse from a parent. These are seen as a way to differentiate themselves from the event. Leaving mom to be mom and not the evil monster who may have abused the child physically for spilling their dinner plate. To be diagnosed with DID one must have at least two distinct personality states or an experience of possession and recurrent amnesia . There are five different diagnostic criteria and an episode must meet atlas two to be considered for diagnosis of DID. This will be a minimalistic version of those five criteria. One must experience two or more distinct personality states, which must include loss of memories, behavioral changes, perception of cognition sensory motor losses. Second could be recurrent gaps in recall of everyday events, important personal information or tragic event loss beyond traditional memory loss. These systems must cause significant loss in social occupational or other important areas of functioning. The disturbances cannot include part of a normally accepted cultural or religious practices. In children this includes imaginary friends or playmates. Finally, the symptoms must not be in attribute too physiological or substance abuse or other medical conditions. someone with DID may feel as though they have multiple people living within them. 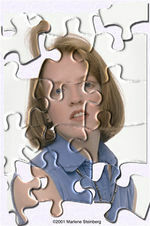 Picking up the pieces and putting the puzzle of your life is a start for treatment. The treatment for DID can consist of multiple psychological models ranging from "cognitive behavioral therapy (CBT), dialectical behavioral therapy (DBT)_ and Eye movement desensitization and reprocessing (EMDR) other things can include medication such as antidepressants" . The primary treatment goal is long term psychotherapy any of the previously listed model will work, but each individual will flourish diversely under one or multiple models. Currently there is no specific "medications that specifically treat this disorder, antidepressants, anti-anxiety drugs or tranquilizers may be prescribed to help control the mental health symptoms associated with it" . treatment will consist of helping a person to "safely express and process painful memories, develop new coping skills and life skills, restore optimal functioning, and improve relationships. The best treatment approach depends on the individual, the nature of any identifiable triggers, and the severity of the symptoms" . The different version of therapy will include different takes on how to treat the illness. For example, "EMDR was designed to treat people with persistent nightmares, flashbacks, and other symptoms of Post-traumatic stress disorder (PTSD" . While the CBT model uses helping to get the individual to begin "changing dysfunctional thinking patterns, feelings, and behaviors" . Both of these are well known and extremely successful models, which one is right for each individual will remain to be seem how they cope with their stressors. Treatment has no real beginning or end, it can run for a week a month or even a year. Each individual will process their trauma differently. Some individuals may never be able to leave therapy and will continue to go on regular intervals caring form weekly to yearly check ins. As with all mental illness there is no right or wrong way to be treated as long as the client is making progress in a positive direction. There will be set backs where clients slip to previous levels of their mental illness, but they are typically followed by a break through to a new level on cognitive understanding. Here is a woman who has lived her life with trauma and pain and uses her multiple personalities to endure the memories and emotional pains. ↑ 1.0 1.1 1.2 American Psychiatric Association. (2013). Diagnostic and statistical manual of mental disorders (5th ed.). Washington, DC: Author. This page was last modified on 29 December 2018, at 18:17.